Hail the launch of Apple's iPad2 this April 29, 2011 (Friday), available at Power Mac Center (PMC) Apple Premium Reseller (APR) stores in Greenbelt 3, SM Mall of Asia (MOA), SM Megamall, The Annex at SM City North EDSA and TriNoma. With all PMC stores opening at 10 a.m. on the launch date, each buyer will get a free 30-day coverage for accidental damage under the Save Mac program. Having this will conveniently allow iPad2 replacements in cases of sudden and unforeseen physical damage during the period of insurance. 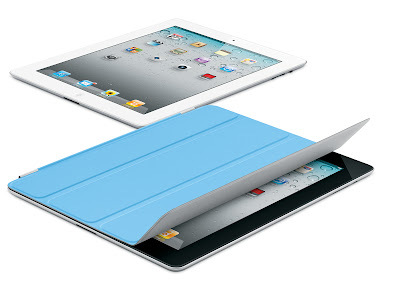 In addition, PMC also offers three-day 10 percent off sale on Apple's ingenious technology designed for the iPad2 -- the Smart Cover -- and also all third party accessories. The iPad 2 is available in Black or White, WiFi-only and 3G+WiFi models, with 16GB, 32GB, and 64GB capacities. No price information, but source said that it is competitive and very close as with iPad1.